Chart No. 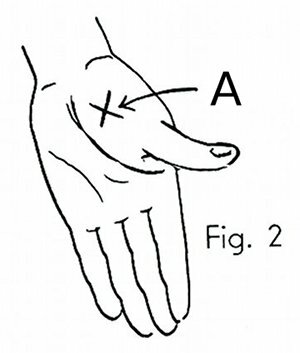 39 - Occipto-Temporal [Occipitotemporal] Contacts and Positions. 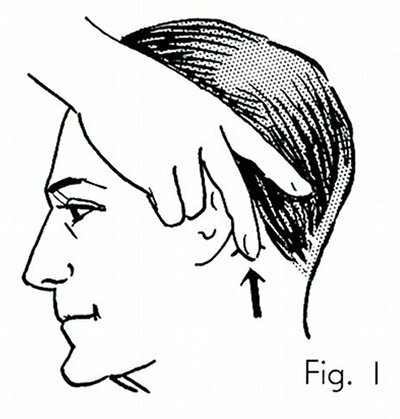 (A) Contact point of hand behind ear. 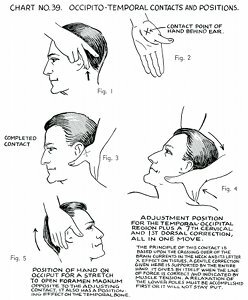 Adjustment position for the temporal-occipital region plus a 7th cervical [seventh cervical, C7] and 1st dorsal [first thoracic, T1] correction, all in one move. 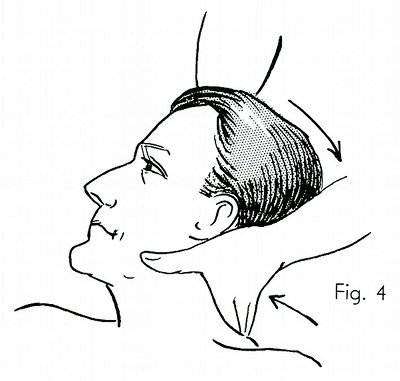 The principle of this contact is based upon the crossing over of the brain currents in the neck and its letter X effect on tissues. A gentle correction given here is supported by the entire hand. 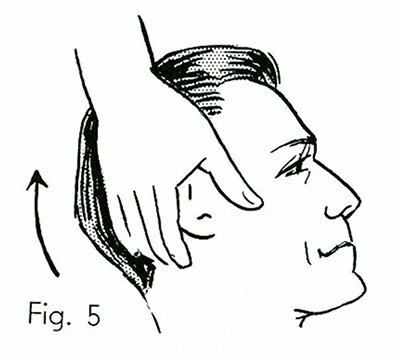 It gives by itself when the line of force is correct and indicated by muscle tension. A relaxation of the lower poles must be accomplished first or it will not stay put. Position of hand on occiput for a stretch to open foramen magnum opposite to the adjusting contact. 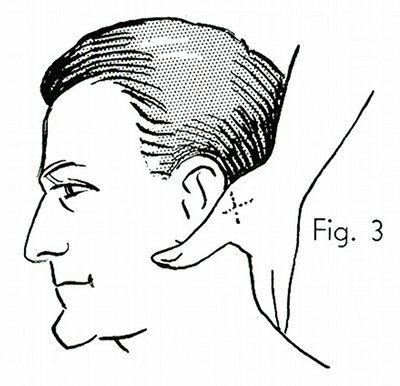 It also has a positioning effect on the temporal bone.